A premium supplement for strong healthy hooves developed by Equine veterinary surgeons and farriers. 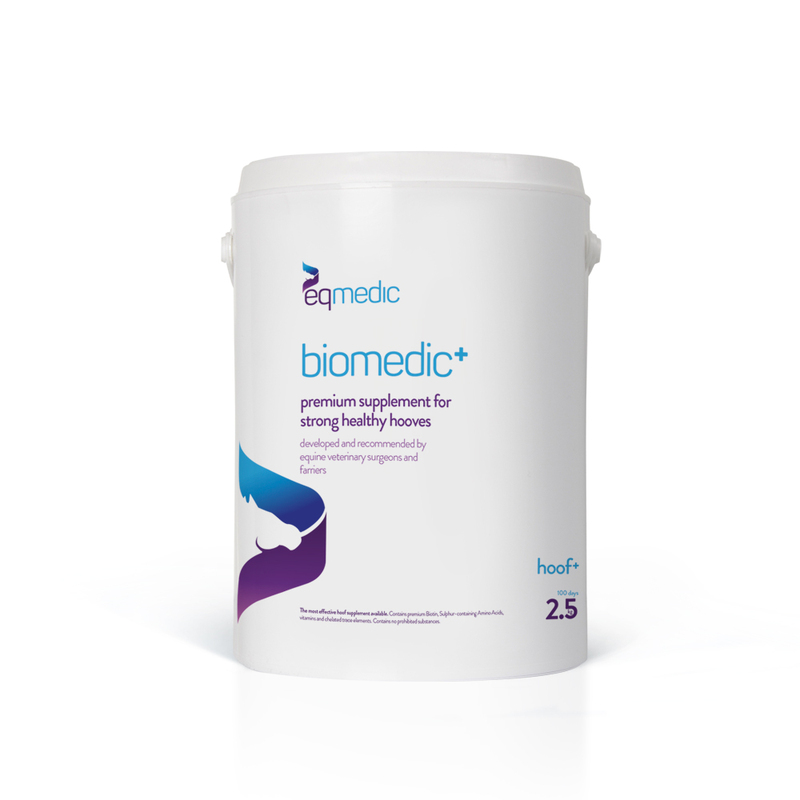 Biomedic+ Hoof is formulated with biotin, sulphur-containing amino acids, vitamins and chelated trace elements - essential ingredients for healthy hoof growth. It is also very useful for horses recovering from laminitis, when hoof quality is often very poor, crumbles easily and grows very slowly, as well as White Line Disease and Quarter Cracks. The ingredients of Biomedic+ Hoof will also promote a healthy, shiny coat. It does not contain prohibited substances and does not contravene any rules of BHA or FEI; however it has not been tested in an FEI lab. At maintenance dose, a tub will last 100 days.